This hammer curl exercises uses a hammering motion to isolate the biceps and to build bigger arms. 1. 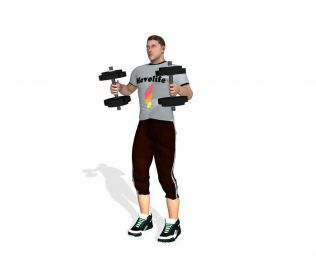 Grab one dumbbell in each hand along the sides of your body, palms facing each other. 2. Raise both dumbbells by curling your elbows and lower them down after a short pause. Keep your upper arms still throughout.